This story starts way back in February. Actually before that even, during the SHOT Show to be specific. During that time frame Mr. David O’Neill from the Boy Scouts of America approached our President Mr. Patrick Daly for assistance at The Philmont Scout Ranch and Training Center near Cimarron New Mexico. Since I spend one week a summer teaching reloading at Trinidad State Junior College in association with their NRA Summer Gunsmithing courses if I could get one week to follow the other in no particular order it would work out very well. As luck would have it The Philmont opportunity was the week before the Trinidad class. Perfect! I had no idea of what to expect but 6 years of past experience at Trinidad teaching Reloading A-Z and 25 years of Technical Assistance here at Sierra Bullets has conditioned me to all levels of experience when it comes to reloading. Still it bothered me that I had absolutely no idea of the format other than other people from the industry would be there to assist also. I didn’t have a plan. To make things worse I’d never been past the NRA Whittington Shooting Center and had no idea of how many hours of driving time I was looking at. So my plan was pretty simple, get through Kansas City after morning rush hour but before the noon rush, then turn up the wick and get some miles under us. By this time I did have an idea of the time frame and it seemed like about 15 1/2 hours total door to door. We gave the house sitter last minute instructions, told the dogs good bye and headed west. The wife was still trying to pack her suitcase as I was dragging it to the car. Go figure. Luckily I-70 is pretty simple to navigate through Kansas City and we missed the major traffic so the first part of our trip was good. There is a short section of toll road to pass through and then it’s hello Kansas. Now I’ve heard it said many times that the best time to go through Kansas is during the night. Nothing could be further from the truth this year. They have had plenty of rain and the hills are vibrant with color from wild flowers and all the various greens. The familiar tans and grays of scorched earth were not there this year replaced with the abundance of prairie fauna. I was relieved to see Oakley Kansas coming up which would be our stopping point for the day. No more driving into the late afternoons bright setting sun. After a good nights rest at Oakley we headed west southwest on Highway 40. 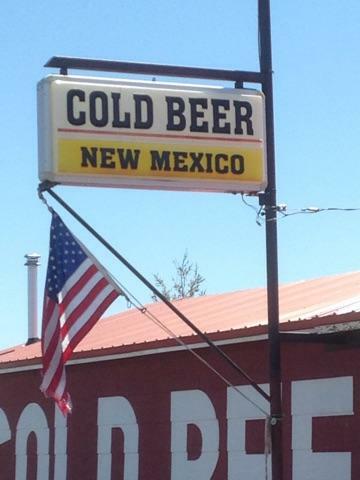 We gained an hour around Sharon Springs Colorado and continued on to lunch at La Junta Colorado by following highway 385 which also loosely follows the Santé Fe Trail. There is an 80 mile stretch on 385 from La Junta to Trinidad that is pretty isolated and no services. Normally it is desert to a Missourian like me but this year it is green and lush and the cattle are slick and heavy. It was a beautiful scenic drive for a change. We jumped on I-25 and headed south at Trinidad and encountered a huge rock slide in the Raton pass that closed the north bound lanes. It was still closed a week later and is probably still closed three weeks later as some of the boulders were much larger than a good sized house. Finally, over the pass, we head down the other side past Raton on I-25 looking for NM highway 64 which will take us past The NRA Whittington Center, Cold Beer NM and ultimately to Cimarron New Mexico where we turn left on Highway 21 taking us to the Philmont Base Camp. Okay we are in the area but where is the main office? The Philmont Base Camp is huge. A maize of familiar brown buildings, a huge lodge and another group of buildings that form the center of the Base Camp. Signage is plentiful, comprehension not so much and after asking a couple of times we finally get to the office, meeting several very pleasant people on the way. Our very busy host Mr. David O’Neil, gave us a brief overview of the Ranch and made sure we did indeed have a roof over our heads for our visit. Hey … it’s a scout camp! All I saw was tents, lots of tents and I found out my wife had no intentions of sleeping in a tent on this trip. So, as we pass through the main camp area we say good bye to literally 100s of tents that are waiting for the onslaught of scouts due in at the end of the week. Ten miles further we arrive at the main gate to the ranch that is hosting us and we are greeted by 10-12 mule deer just inside the gates. As we proceed down the long drive past large corrals to the main lodge located in a valley, a flock of turkeys come strolling through the short grass pasture only slightly concerned by our presence. Wildlife is present and abundant, the silence is deafening. 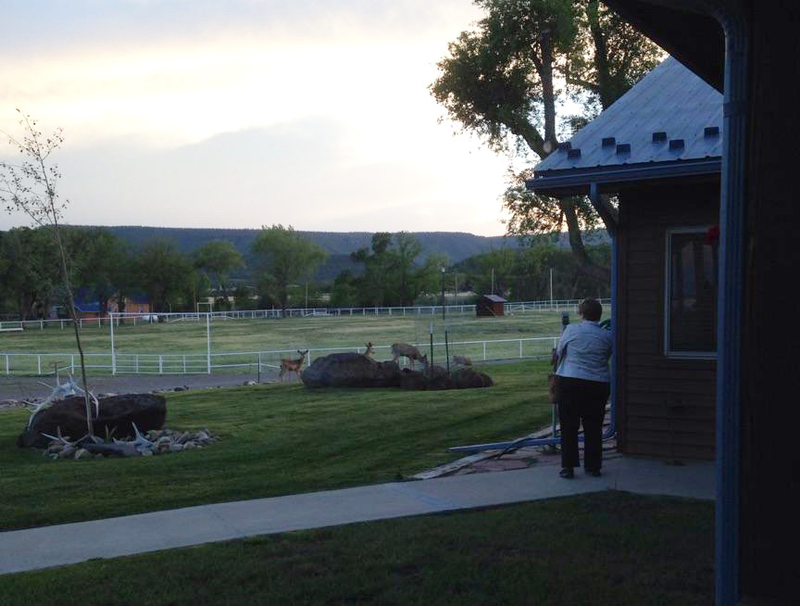 Our lodging was at the UU Bar Ranch and the accommodations were top notch, staffed by a very gracious group of people. In the warm months fishing is a big draw with angling for trout, bass and pike besides hiking and other outdoor activities. In the fall upland game and big game hunts are on the agenda. By now I have to admit that I had a certain amount of anxiety. All I knew was that me and several of my industry peers were going to be present to help train the “trainers”. It was hard to rest but as the other members of the team arrived I began to relax. Breakfast at 6:30 AM, assemble by 8 AM were the instructions and bring water bottle, rain jacket, camera and any training materials. I had noted the altitude earlier at 7000+. We divided up into 4 groups. 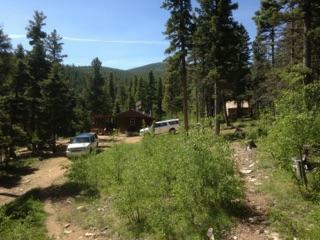 My group picked a sack lunch and loaded into 4X4 Suburbans headed out to Sawmill Camp. And what a trip it was, Grant Reigelman was our driver and he made sure to point out landmarks and points of interest all the while keeping at least 2 wheels in contact with the not so civilized trail. (Even the wildest imagination could not envision this as a road.) The dozer operators who cut and maintain these “trails” must be fearless! On one side you had no room and the other, well lots and lots of room, all down usually, waaay down. Grant said Sawmill was at about 10,500 feet and the “staffers” trekked to the camp a few days earlier following well marked trails. We finally arrived after more than an hour of negotiating trails and were greeted by some jubilant campers. So after introductions all around we head to the main camp building. Sawmill Camp in two buildings, living quarters and a loading “shack” which is actually pretty darn nice, roomy and well light. The staff was comprised of 9 guys, the oldest was 21 maybe and the youngest 16. All were at least familiar with reloading and the equipment on hand. We established that we were to load 30-06 and 150 grain bullets with Hodgdon H4895 and we decided that 42 grains would be a user friendly load. 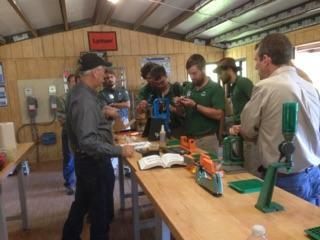 There were 7 of us industry members so we each took a staffer through each phase of the reloading process at least twice individually to make sure they fully understood the process and were comfortable with the process. Then each staffer loaded a minimum of 20 cartridges to be fired later in the day. Someone called lunch and got no argument from me. By this time I was just getting adjusted to the extreme altitude and it was evident that a fat flatlander from Missouri couldn’t breathe in the rare air of New Mexico at 10,000+ feet of elevation, at least not right away. I had picked ham for my sack lunch and I was amazed at how it was packed. The bread was individually packed, the ham in another bag, lettuce/tomato in another, soft drink, apple, chips and a cookie plus condiments. Life is good. 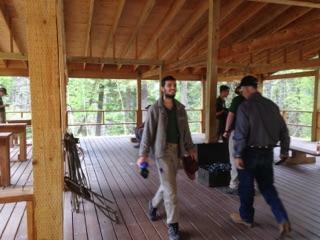 After lunch we went back to the loading shack to finish loading our 20 rounds each. When that was completed the staffers trekked to the rifle range while we rode – most of the way. A fallen tree was the final obstacle. More deep hard breathing as we walked a short distance to the shooting range. The shooting area was a 40×40 covered area with 4 nice shooting benches on one end, ground level on one side and elevated about 6-8 feet on the other side. The range itself was short, only 100 yards with 50 and 75 yard targets as well. Ruger furnished the firearms and they were M77 Guide Guns in 30-06. Earlier I had questioned the caliber choice and lobbied for the light 42 grain load. The Guide Guns do have a muzzle brake but even if they didn’t it wouldn’t have dampened the enthusiasm of the shooters. All loads went bang, functioned without a hitch and targets were hit. Safety was paramount as it should be but the staffers policed themselves every bit as diligently as any Range Officer you have ever encountered. Our job completed we said our good byes and left the staffers with some seriously dirty guns and lots of empty brass to reload. On the way down I had lots of questions. Grant pointed out that last year (2016) over 27,000 kids participated in the Philmont Camping and Training Adventure Programs, nearly 12,000 were new to a shooting discipline. 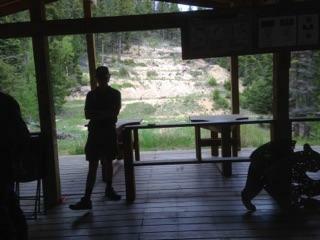 He was also quick to point out that Philmont is the only major camp with a shooting program. Sawmill is the centerfire camp but a few days trek away is either black power, shotgun, traditional muzzle loader or frontier black powder camps. Those kids fired 38,617 black powder shots, in excess of 22,000 30-06 cartridges and over 18,000 shotgun shells. The Frontier camp shot over 36,000 38 Special cartridges. 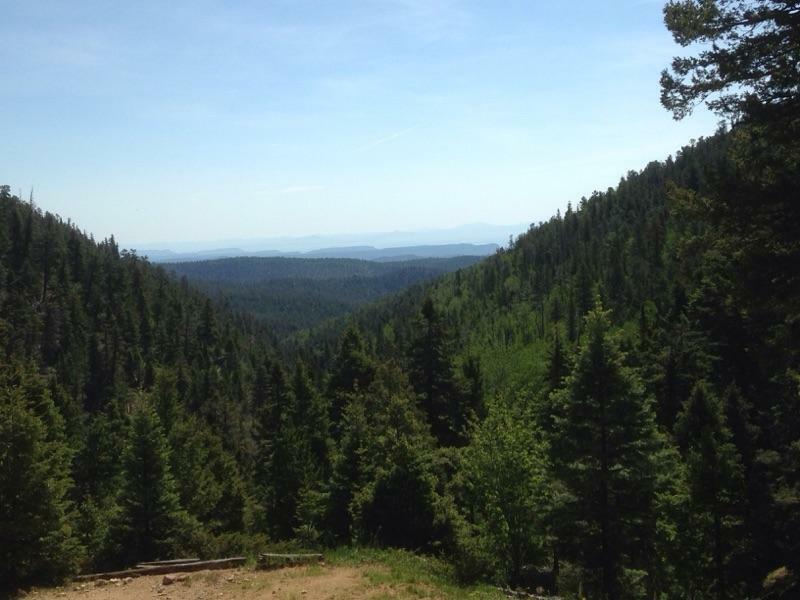 There are many other camps scattered over the 140,000 acre high country ranch. In all over 123,000 shots were fired using nearly 600 pounds of Hodgdon powder! That is a lot of shooting in just a few short weeks. The next day was just as early but we visited other back country camps that were closer with easier access. The scenery was beautiful and the trails nearly as challenging but not nearly as long. In all we visited 4 more camps. The staffers were dressed in period costumes typical of the time the camp represented. That is except for the Harlan Camp which is the shotgun camp. They had just received new Browning O/U Citouri 12 gauge shotguns and Skler Switlik had just come to rebuild their Promatic traps so it was a big day plus Shawn Wosniak had done his magic to their MEC loaders. They were eager to show their camp off. I learned a lot on this trip. First, be prepared to walk much more than you do at home. You park your car and walk to the dining hall, infirmary, Tooth of Time Traders or the offices. There are handicapped parking spaces but you’d better be handicapped if you use them. Tooth of Time Traders is a great place to shop for quality outdoor gear at reasonable prices. The logistics of Philmont is staggering. They have over 300 kids arriving each day and after the first few days that many kids leaving as well. There are also 300 coming back from trekking each day. How do you keep track of 1000 different teenagers on a daily basis and consider that the first 300 are there for several days with more arriving each day and none of them have tracking collars! It would be hard enough if they were in town but they aren’t. They are not even close to a light. They are on the trail in the high back country wilderness, on their own come rain or shine, heat or cold with only their own two feet for travel. But then they are Boy Scouts and prepared. So when they embark on their trek they are carrying everything they need including food and water. Again the logistics of all that just stagger me! At peak time they will have 5000-6000 kids on the trail each day. Some just coming back, others just leaving and yet others that are on the trail and have been for a couple of days. They all have to eat and drink and must have all that in advance. My wife and I parented only had one child, try as we might I guarantee you we didn’t know where he was every minute of every day. So for The Boy Scouts to allow me to help them with their Shooting Sports Training Days is both a flattering and pleasurable experience that I would eagerly accept again. This entry was posted in Reloading, Uncategorized and tagged boy scouts, gunsmithing, handloading, reloading, shooting, shooting camp, shooting program, Trinidad. Bookmark the permalink. 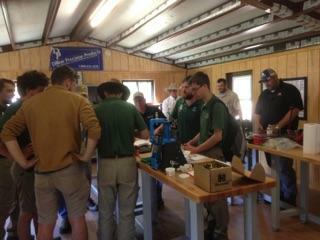 As a former staffer, I’m glad to see the shooting sports are alive and well at Philmont! It’s a great place every scout should try to get to once; they deliberately limit how many they will take in a year in order to limit the environmental impact. I remember meeting a troop of scouts from Japan- what a treat! How neat Bill! Thanks for reading our blog today! Thanks good article. I went to philmont as a scout. It was great. I know I loved my training I took there and certainly enjoyed the trek I took with my son’s troop. Those were the days! As an old Scouter, Philmont has rich memories for me! I’m glad you enjoyed the article. I certainly enjoyed my experience there. I will have to say that I don’t believe I’m up to a long trek, there is just not enough air up there for me.